Bentonville Parks and Recreation took their Halloween festivities outdoors this year for the Halloween Spooktacular at the Bentonville Community Center. Highlights inflatables, a pumpkin patch, Touch-A-Truck Truck or Treat with the Bentonville police and fire departments, cameo by the Hocus Pocus Sanderson sisters, and a movie. Photos for this race have been paid for courtesy of Bentonville Parks and Recreation. Race participants are granted permission to make any and all prints and to post online as wanted for personal use only. Editing/Photoshoping of photographs are not permitted without photographer's authorization. This authorization pertains to and only to the images that begin with the numbers Halloween Spooktacular 0001. Bentonville Parks and Recreation took their Halloween festivities outdoors this year for the Halloween Spooktacular at the Bentonville Community Center. 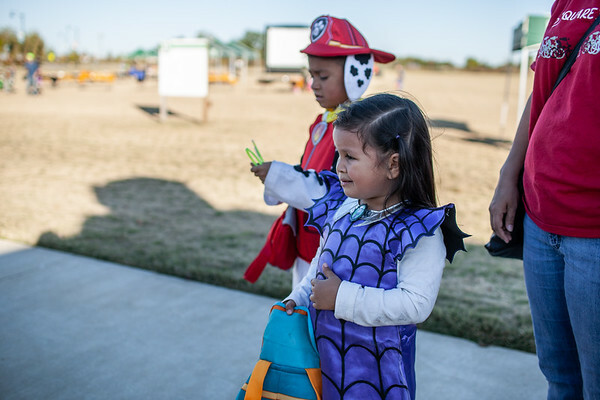 Highlights inflatables, a pumpkin patch, Touch-A-Truck Truck or Treat with our very own Bentonville police and fire departments, cameo by the Hocus Pocus Sanderson sisters, and a movie.